CROSBY  A free speech controversy arose on Inauguration Day in the form of teachers expressions of ideology on t-shirts. They were asked by principals to go home and change the t-shirts. According to Dr. Keith Moore Superintendent of Crosby ISD a few teachers were asked to go home and change their shirts, they complied and continued to work. Before the day, Dr. Keith Moore had made the following statements to principals in Crosby ISD, Please note, I do not want our campuses to ever become a political platform. I am respectful of everyones opinion and who they do or do not support. But politics has become too divisive and visibly expressing those opinions, particularly on clothing does no good in educating our children. Conversely, its main affect is to divide our staff, parents and even students. I know that people get excited about their candidates, I do too. But our Priority is educating all of our children. Therefore, please ensure that we do not have political signs, clothing etc. on our campuses. This includes slogans associated with various politicians. Some parties that wish to remain unanimous had stated that 8 years ago Obama supporters were allowed to wear Hope and Change Tee-shirts. And ay that many teachers did not return to work that day. Dr. Moore disagrees with that statement. I recall always having the same stance regardless of party affiliation. HIGHLANDS The Volunteer Fire Department held their 2017 Installation Banquet and Awards ceremony Saturday night, January 14th at the Monument Inn. 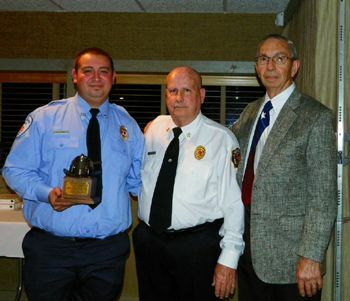 Named to the top award as Firefighter of the Year by popular vote of the firemen, was Firefighter Ruben Lopez, Jr. The award was presented by Jim Strouhal, president of the ESD#14 board. This award is given in memory of Cecil Kelly, who volunteered with the Highlands VFD for over 42 years before retiring in 1996. The recipient chosen by vote of the membership is a firefighter who performed above and beyond the call of duty. A large crowd of firemen and families, friends, community supporters, and board members attended the dinner. Fire Chief Harvey Little emceed the ceremony, introducing awards, guests, and honorees. Chief Little also reviewed the department accomplishments and history of service calls for 2016. Some remodeling in Station 17 was accomplished, and construction started on Station 27 on E. Wallisville Road in March. Chief Little reported on accomplishments in the training of new members, and training and certification of existing firefighters. Currently 21 members have a SFFMA certificate. The Chief also reported on EMS accomplishments for 2016. There were 227 major trauma calls, including heart attacks and strokes. The department success rate was 55% in getting a return to circulation enroute to the hospital. This department now has 22 part time paid crew. One ambulance is manned 24 hours, 7 days a week, every day of the year. The other ambulance runs at Peak Hours, 8 am to 6 pm. Response time averages 6 minutes. Chief Little reviewed the history of the department for 2016. He noted that there were 2553 calls for service, compared with last years 2489. 1870 EMS calls of which 941 required transport to a hospital, and 738 fire responses, about the same as last year. Life Flight was called 25 times, compared with 20 last year. The department responded to 188 Motor Vehicle Accidents. Membership in the HVFD stands at 71: 40 regular, 7 apprentices, 2 juniors, 18 retirees (not in the total), 22 EMS part-time. Service Awards were presented to members of the department. Other awards presented by Chief Little included Citizen of the Year, to Leslie Selph, and Business of the Year, to David Sellers Full Service Auto Repair. 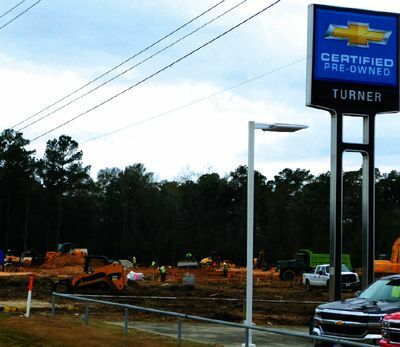 CROSBY  The continued growth of this area has another example in retail outlets in addition to the announcement that a Wendys Restaurant is opening laterTractor Supply is moving in next to Turner Chevrolet on Gulf Pump Road. According to a Tractor Supply Spokesperson, the tentative date of the opening is May 6, 2017. Tractor Supply has a unique mix of product offerings, which in addition to farm products and hardware, also includes pet food and supplies and clothing items for the entire family. The spokesperson also indicated Tractor Supply was founded in 1938 as a mail order catalog business offering tractor parts to America’s family farmers. Those interested in working for the company should visit the website, http://tractorsupply.jobs/. 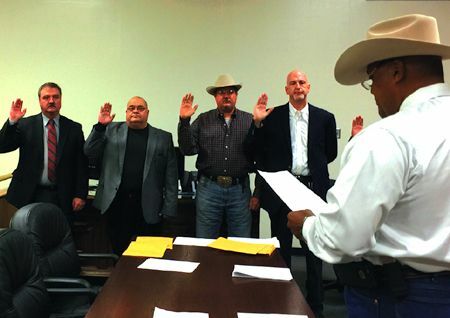 CROSBY  Sherman Eagleton took the oath of office on Jan. 1 for Constable of Precinct 3 at Crosby High School, he swore in a new staff that day. I want to thank the voters for electing me Precinct 3 Constable. Even though the door may say Sherman Eagleton Precinct 3 Constable, I want them to know that the office is theirs and I will run it as a trust from them to be run for them for the next four years. I am looking forward to working for them. said Eagleton afterwards. This is the first time that supervisors in this Constables precinct have been appointed by test scores.